As mentioned in the post before this one, Jim has already finished a bit of his Heat is On achievements. Currently he has two finished achievements and one in progress. 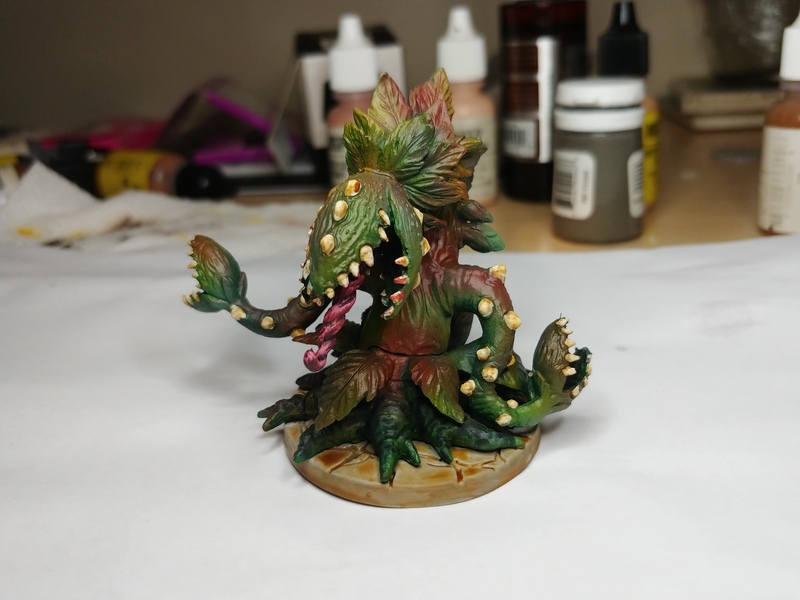 His first was to paint this fella/gal using an airbrush. A tool he is not really familiar with (one I will be exploiting for the same achievement as well… :P). 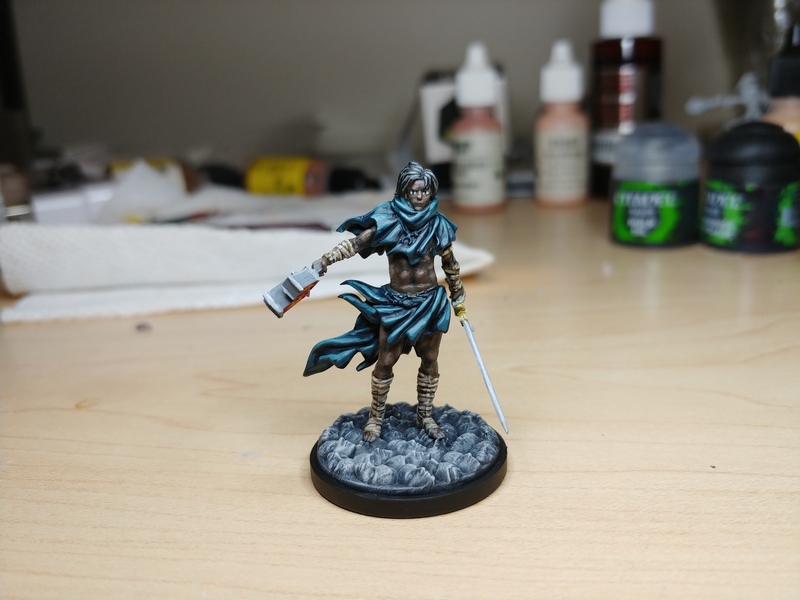 He also managed to finish a Kingdom Death miniature, counting it towards the “Finish 5 models” achievement. Darn he is really laying down some action to get ahead! Currently he is working on some tanks and snazzy stuff to fill up those model count achievements. Damn this wont be easy! In comparison my progress has been rather… well near non existent. 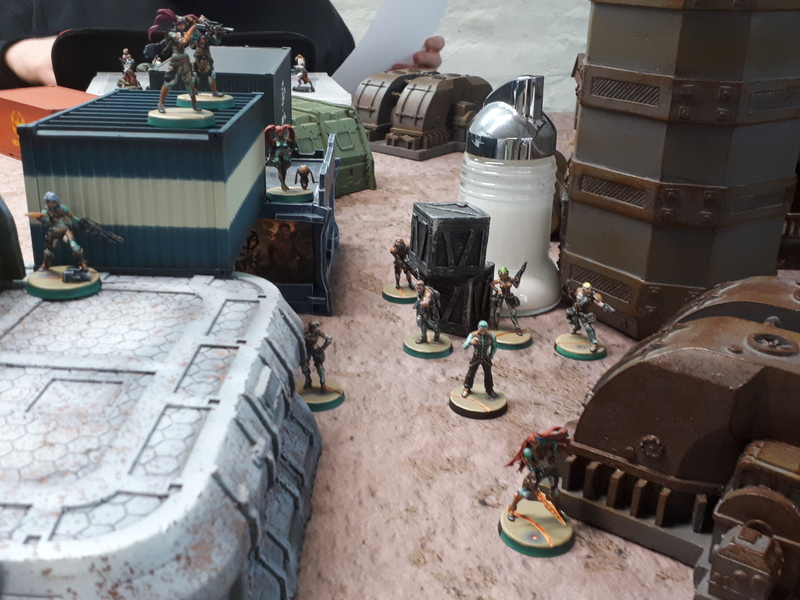 I managed to play a game of Infinity with fully painted miniatures on both sides. 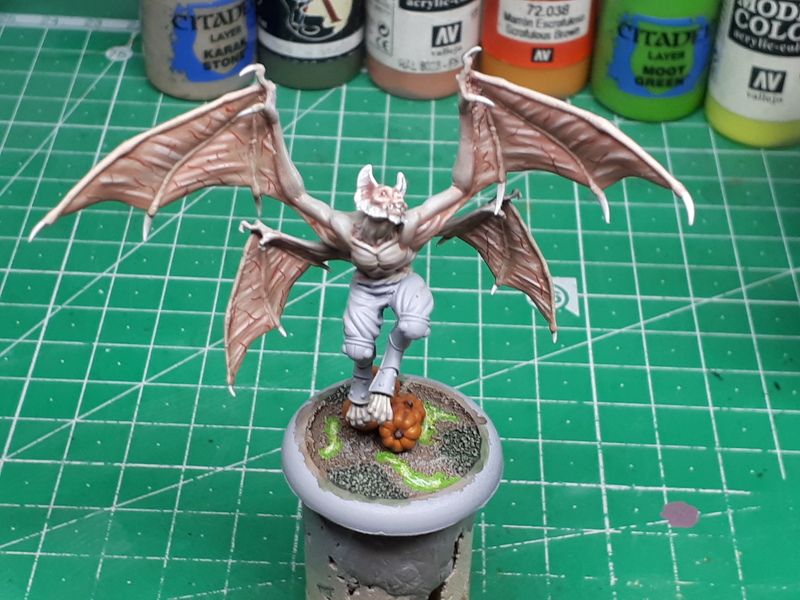 Which was fun and a partial reason I am high on getting back into the hobby more than ever. I played my Steel Phalanx against a friend’s disgusting, filthy and crappy Tohaa (That was three adjectives, right?) at our local game store. We both had to interact with an “alien artifact” (a.k.a. sugar dispenser) and kind of kill each other in melee too. We had a blast and loads of silly laughs. Basically I am one behind Jim atm. This, however, will change soon. I have been busy and actually got some painting done. 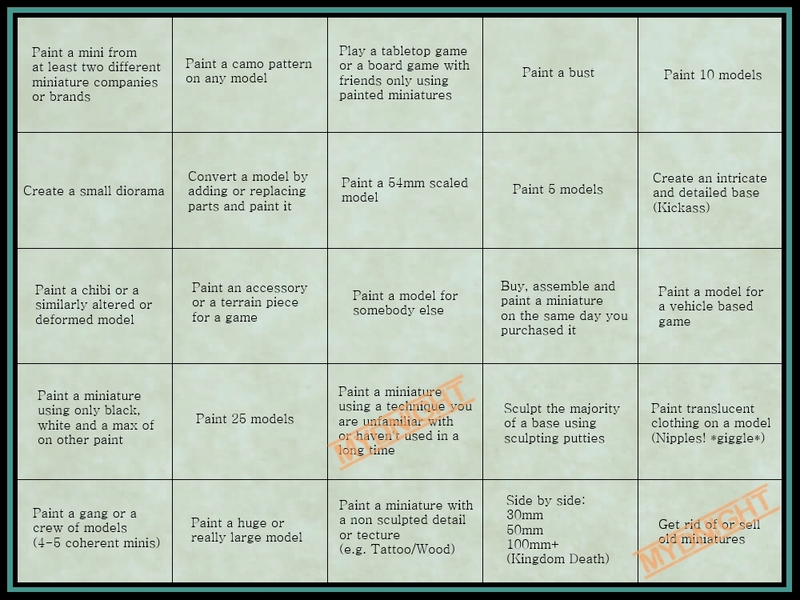 At the moment I am painting some Malifaux miniatures, prepping for some ME3 (3rd Edition) testing with my local gaming group. 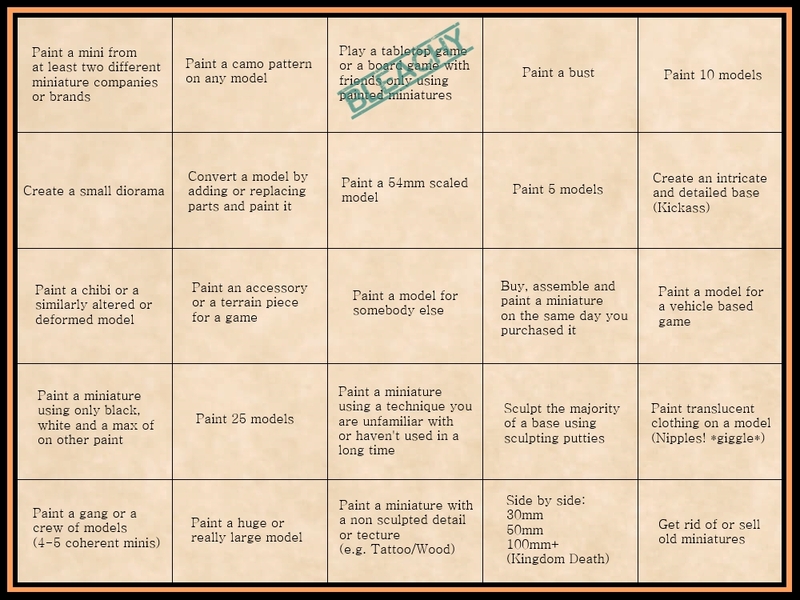 It will consist of the four Night Terrors (bat folk) and a sassy lass wielding guns and schlepping a huge burning coffin (Malifaux is crazy!). 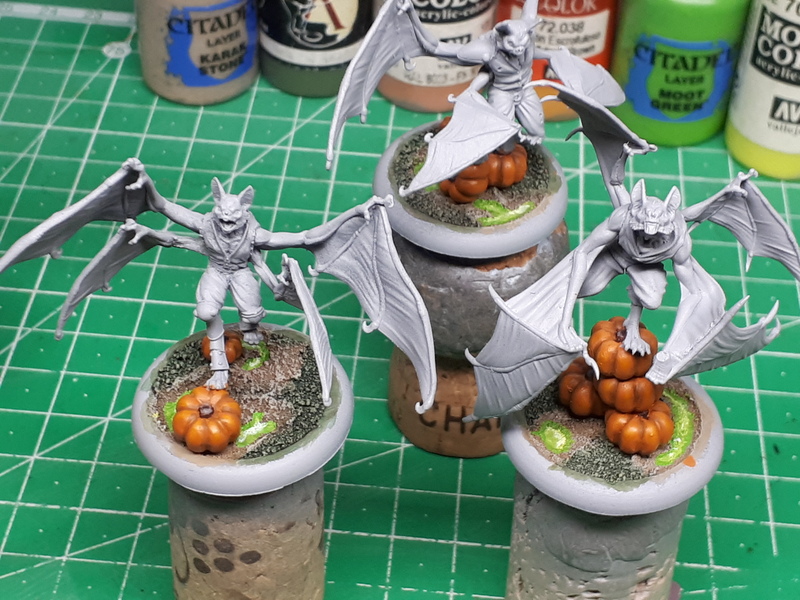 I decided to give each bat its own skin and fur color. Similar to how I have been approaching my zombie flesh for my Resurrectionists. Their leader Batman-batbat-manman is a kind of albino crazy looking thing. I am pleased with my progress there thus far. Its sloppy but not too bad for being away for such a long time.